The Aastra 6800 Series wall-mount kit allows safe and secure mounting to all Aastra 6800 Series SIP phones. Also providing a tilt of 10 degrees to enable easy reading of the LCD display. The kit has a two piece slide and lock design and includes a short ethernet cable making installation simple and efficient. The Aastra 6800i Wall Mount Kit has many exciting features for users of all types. You can extend the lifetime of your Aastra 6800i Wall Mount Kit with the purchase of a FactoryOutletStore Factory Protection Plan. 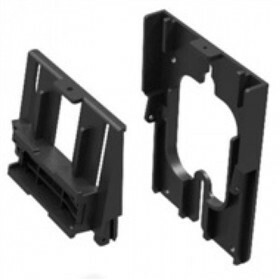 The Aastra 6800i Wall Mount Kit is sold as a Brand New Unopened Item.